Originally founded in 1999, MSNL started life when two friends started growing seeds from strains they acquired over a decade of smoking, traveling and trading across Europe and Australia. Christian and Ben new straight away that there was much more to cannabis than the standard grass and hash resin that seemed available in most areas. Within three years they had built up a collection of over 40 different genetic lines, some Landrace strains, some F1’s and 10 of their own creation. These included White Widow Max, White LSD and THC Snow, which are still classed as some of the best high strength – high yield varieties of cannabis available worldwide. 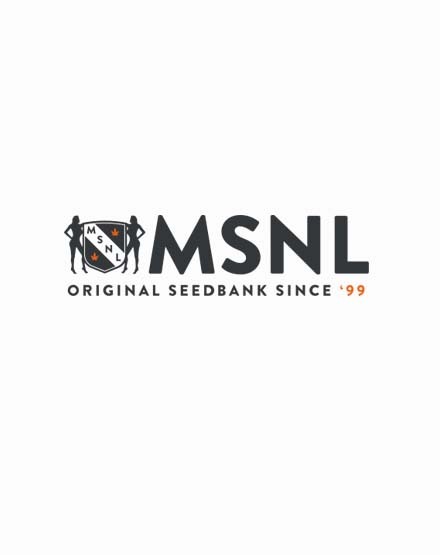 With this catalogue the first true online seedbank was born: MSNL the original seedbank. Buy weed from someone off the street, and nine times out of ten, it’ll be awful. You don’t know what you’re getting, or whether it’ll be any good even if you do. You don’t know what organisations it’s funding, how many chemicals it’s loaded with... not to mention you don’t really know who this guy is. But MSNL are here to help. After all the equipment, time, effort and love you put into your hobby, you want it to turn out right. MSNL’s founder was a passionate geneticist with decades of experience, and this is brought to life in every single one of our products. Through rigorous testing, comprehensive research, and masterful intuition, we know for a fact that our range is of the highest pedigree, and will never, ever disappoint. MSNL are proud to offer the most cutting-edge discretion in the business. We’re never phased by a nosy roommate. Customers get what they’ve paid for, with one of the highest delivery success rates there is. Coupled with cleverly discrete billing, we know our customers’ identities are safe at every stage of their journey. Plus, we offer same-day dispatch and guaranteed delivery for maximum reassurance. We’re normal people, passionate about the products we sell. We’re always there to help, and in this industry, we feel our customer service is unmatched. We’re all about the customer’s experience, and satisfaction is a top priority for us at every step of the journey. MSNL’s pioneering breeders and producers have spent years travelling the world to find the best strains for our customers. Coupled with rigorous testing procedures, that means we offer some of the strongest, most reliable, and consistently stable strains around. We’re also proud to trust the unique intuition of our breeders, and as such, we avoid fads and 'the next big thing'. We’ve spent the best part of two decades ensuring our breeding process is as streamlined and efficient as it can be. For the customer, this means we can keep prices low without sacrificing quality or service. "GREAT PRODUCT AND AMAZING SERVICE. I ONLY USE MSNL"
"THE BEST GEAR AT THE BEST PRICES AROUND. NO BRAINER"
"STEALTHY SHIPPING, EASY TO GROW, WOULD USE AGAIN"